The team at PleasureHorse.com is so happy to once again host the Audrey Grace Auction! The online Auction will run Monday, December 10th through 5:00 pm EASTERN time Sunday, December 16th. For the past sixteen years, the Backes Family has organized this annual auction to help benefit New Horizons and the Audrey Grace House. This effort was started to memorialize their daughter, Audrey Grace, and to help give hope and help to children who need a little extra care and compassion. Each year, the auction raises more than $40,000, every penny of which going DIRECTLY to the Audrey Grace House. “Our daughter’s memory will be long lived helping children in hard times find nurturing and therapeutic care, in the home named after her. Please know it takes a team effort to accomplish this. Not one donor or bidder, but a family of caring individuals coming together for a common goal – putting children first! !” said Jane Backes. PleasureHorse.com would like to thank all donors, bidders and everyone else involved in this very worthy cause. We ask you to once again participate in making this year's auction a success! Click here to read the letter from Jane and Leon Backes, with detailed information about the Audrey Grace Benefit Auction. Click here for the 2018 Audrey Grace Auction donor form. Click here to send an email to Jane with questions on donating or bidding. Click here to go to the PleasureHorse.com forum where the actual auction (your bidding) will take place (from Monday, December 10th through 5:00 pm EASTERN time Sunday, December 16th). Click here to view the video walk through on how to access the auction on the forum. Homozygous Black Gene and Homozygous for Agouti – Carries One Copy of the Gray Gene so 50% of his Foals Will be Gray. WORLD TITLES IN THE SAME YEAR (1996)! A guide to Educate, Inform & Help You Win! AQHA Resv. World Champ Jr. Western Pleasure. Top 100 on LSL last 3 years with only 36 foals. Description: Homozygous Tobiano, 16 hand, APHA World Show Western Pleasure Slot Champion by Special Invitation out of a Superior WP mare! Invite The Artist is homozygous for Tobiano; thus guaranteed to sire color every time! Description: 5-TIME Congress Champion (2yr old Open Western Pleasure, Limited Open, and Non-Pro, Junior Western Riding, and Green Western Riding). Making him undefeated at the Congress, plus multiple NSBA WORLD CHAMPION. Description: Black, 1.50 lb. tail extension, 34-36″ in length, blunt bottom, double loop attachment with weight system. Purchaser can exchange for another color/size – additional cost may apply. 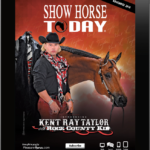 Description: Full Page Color Ad Some wonderful, colorful unique ad designs to enhance your product or Stallion. Description: One Two Page Spread Design by Valor Designs. Valor Designs has built a nationally recognized equine advertising agency. Creating designs for show horse industry leaders including AQHA All Time Leading sire Invitation Only along with several young Stallions. CBS WHITECOLLAR RIDE is a 16.3 Bay AQHA Stallion sired by World Champion “COATS N TAILS” and out of the great producing mare “DETAILICIOUS” by the all time leading hunter under saddle sire “LAST DETAIL”. delivered to the magazine of your choice. Must be used in 2019. Stud Fee: $1750.00 NO CHUTE FEE VET IS DONATING THAT!!! Description: AQHA World Champion Jr Hunter Under Saddle, AQHA Reserve World Champion Jr Western Riding. Congress Champion Jr Hunter Under Saddle, Mat Hunter Under Saddle and Jr Western Riding. Description: Affectionately known as” Dutch” (The Born Legacy) is a 2013 AQHA Stallion sire by Good I Will be and out of the Dam Pretty Hot and Sonny. Description: Hammitt handbags style Nash is always looking to have fun time. This petite version of our iconic clutch boasts a dedicated external cell phone pocket, wristlet strap, zipped compartment and adjustable cross body strap. Description: Makeup bag, brush cleaning egg, splash liquid lipstick (Stubborn) , splurge cream shadow in Tenacious, pressed powder eye shadow in Gingerly, liner/shader shadow brush, pencil liner in black, epic mascara in black and a exfoliating mask. Description: A $50.00 Gift card towards purchase of any of the outstanding Show Clothes. Specializing in high end show clothing from industry leading designers. Description: The Tack Room Custom Made Purple (Brand New) extra long oversized bridle bag. Designed to hold bridle & reins without folding them up. Description: We offer quality cleaning & conditioning services on show & work tack. 50 gift certificate (equals to a halter or headstall cleaning) can be used toward other services! Description: Gorgeous Show set customized for you. You will get an oversized 34×42 show pad, a matching buckstitch shirt in YOUR size and a scarf. Comes with free storage bag too. Description: 2 fleece braid in tail bag available in a variety of colors! These tail bags actually stay in & help stop breakage! Description: Tan hair on hide cross body purse with fringe. Fully lined with 2 interior pockets. Size is 12” x 12”. Additional pictures can be seen on my Facebook page. Description: Harris yearling show halter (been on a horse one time, so in perfect condition). Gold scroll over silver, with simulated rubies. Comes with the lead line. Sired by “Zips Chocolate Chip” the only palomino son standing at stud. Thirteen-time World Champion in multiple events! Description: Black with large picture of the head of a colt on the back & small one on the front. Size medium / large. Standard cotton t-shirt.